Japan is the place to be for foodies. Many chefs, trendwatchers, stylists and food addicts all over the world are inspired by the Japanese delights. 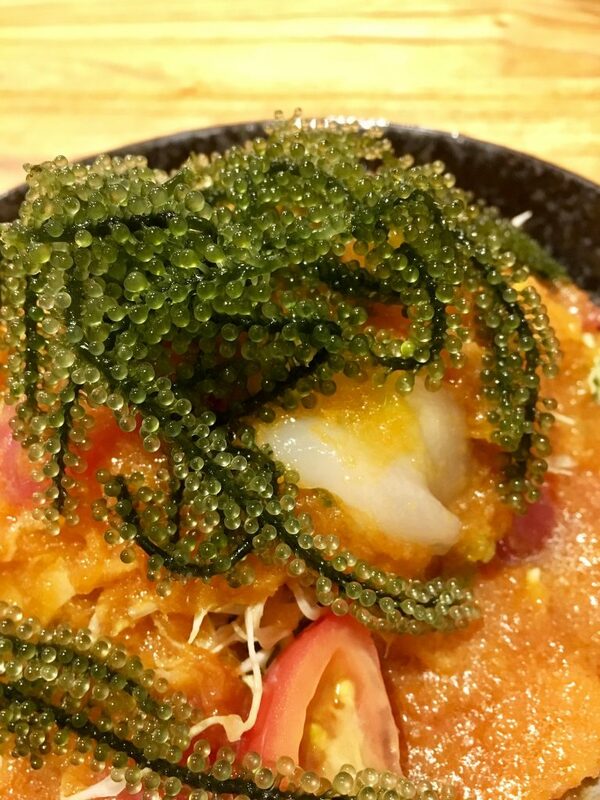 Yaeyama or Okinawa food is still unknown for many of us. Interesting to see the regional differences. The traditional Japanese diet – known as one of the healthiest in the world – is based on a large variety of vegetables, tofu and fish. Rice is an important part and mostly eaten with pickles and soup. Mainland Japanese cooking methods generally use water, not so much oil. Chinese, for example, stir-fry with oil at a high temperature. In Japan, raw, simmered and grilled techniques predominate. When fried food is served in main island Japan, such as tempura, a few pieces are enjoyed along with other dishes, so the overall balance of the meal is healthy. Frying is rare on the mainland, but common in the Yaeyama islands and Okinawa. The Yaeyama food is based on Japanese cuisine but has influences from other Asian cuisines. This is because of the history as independent Ryukyu kingdom, location and climate of the islands. In Japan it is believed that it’s best to eat a wide variety of food of different colours during every meal, which forms the basis of a healthy diet. Because Japan is such a long island nation with several climate differences, it has an abundance of foods. In the tropical Yaeyama islands you’ll see foods which aren’t available in the rest of the country. 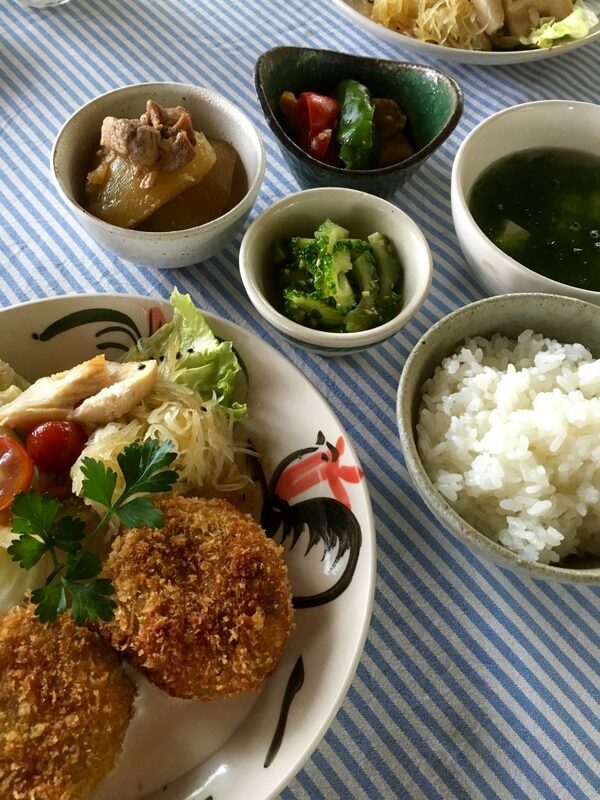 Typical to the Yaeyama islands are for example umibudo (sea grapes), asa seaweed, healthy chlorella, pineapples, sweet potato, Awamori (local sake), fermented tofu, goya (bitter melon), brown sugar from the sugar cane fields, tuna tempura, Yaeyama soba, goya champuru, local craft beer, Yaeyama sata andagi (doughnuts), beef and gurukun (local fish) and other local tropical fishes. During the fruit season (May to July) the islands are an oasis of tropical fruit with pineapples, passionfruit, mango, shikuwasa, watermelon, papaya. 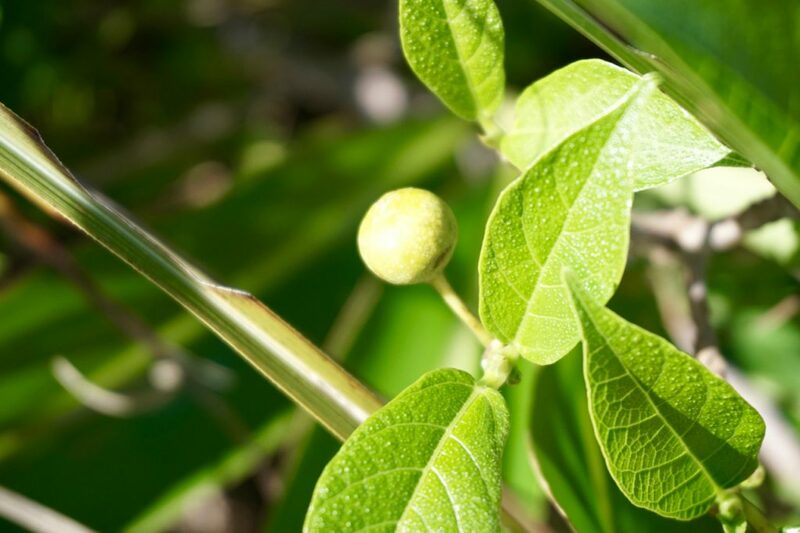 Some even grow in the wild, like this young guava. 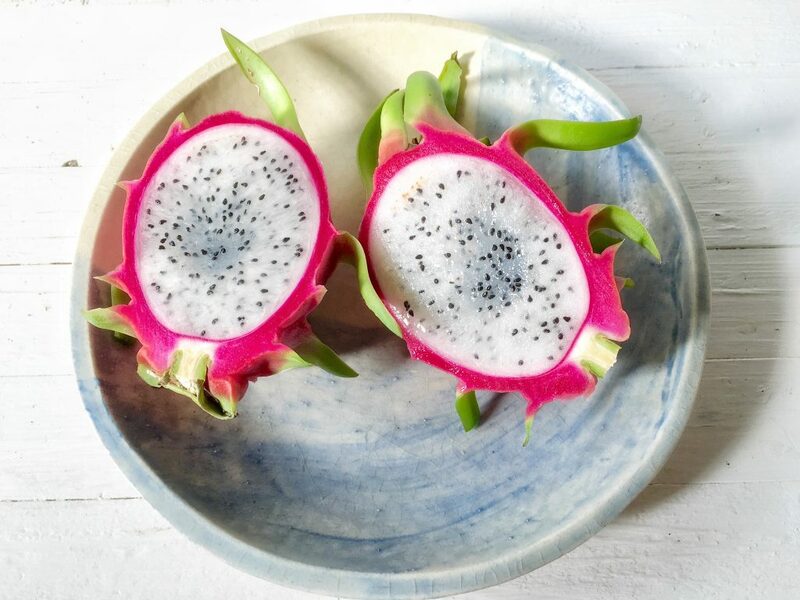 In late summer the colourful dragon fruit appears, which are a feast for the eye. 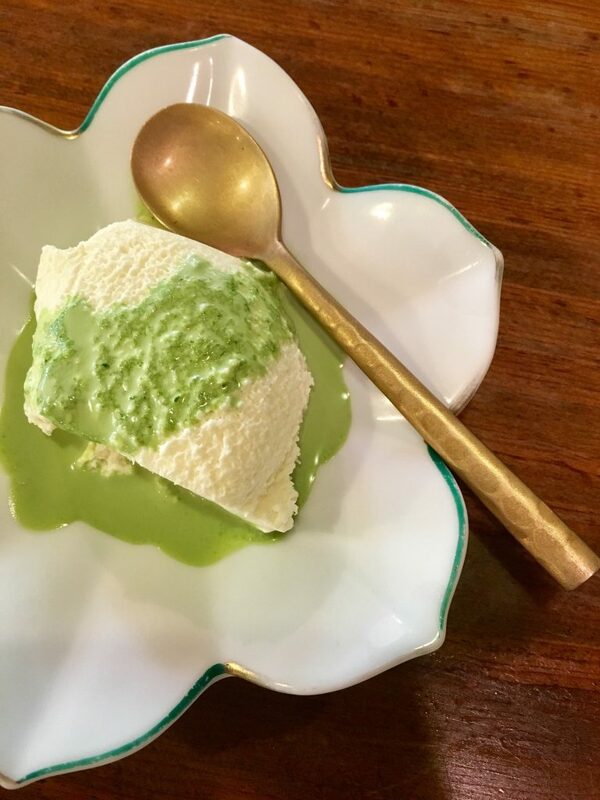 We tried & tested several restaurants, bakeries, ice cream shops & cafes for lunch & dinner. Most of the restaurants and bars concentrate in the center or largest village of the islands. Lunch spots spread around the islands. It’s difficult to find 100% vegetarian or vegan restaurants throughout Japan, especially with a language barrier. But fortunately with Japans buddhist influence the Japanese cuisine offers many delicious vegetarian dishes. In the Yaeyama islands the amount of vegetarian options is smaller, however I notice new restaurants start up and welcome travellers with vegetarian and vegan possibilities as well.